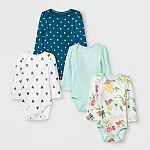 Gymboree has 50% Off Everything (including Clearance Items). Price as marked. Shipping is free. Updated, thanks! //@anonymous: Wrong link.